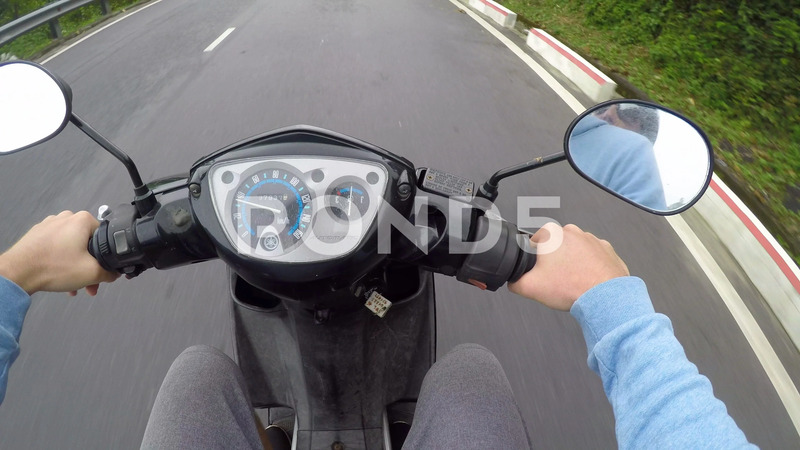 Pov: Cool View Of Riding A Motorbike Down A Mountain Road In Rural Vietnam. Description: HAI VAN PASS, VIETNAM, MARCH 2017, POV: Cool view of riding a motorbike down a scenic mountain road in rural Vietnam. Unknown person on fun motorcycle trip through the spectacular exotic forest.